Medical malpractice occurs when a medical professional fails to perform their medical duties and a patient is harmed. There are a lot of medical malpractice medication errors in Annapolis which end with big settlements. But there are a lot of medical malpractice rules that you have to know in order to win your case. That is why it is recommended to get the help of a medical malpractice lawyer from Annapolis to aid you with the legal matters. The existence of a doctor-patient relationship. This means that you have to show that you hired the doctor and that the doctor agreed to take the job. The doctor was negligent. Not all the people are happy with the result of their treatment, but this does not mean the medicals are liable in any way. The doctor can be found liable with the help of your medical malpractice lawyer from Annapolis if they were negligent in your treatment and the diagnosis. You have to prove that the doctor’s diagnosis or the treatment they gave you caused you harm. Your injury resulted from the doctor’s negligence. Because most patients that are being treated were already injured or sick, there is always a possibility that the doctor was not negligent and didn’t cause the harm. So, if a patient dies of lung cancer during their treatment, it is quite hard to prove the doctor was negligent in any way (even if they were). You have to consult with your malpractice attorney from Annapolis and see if you have a viable case or not before filing your claim. 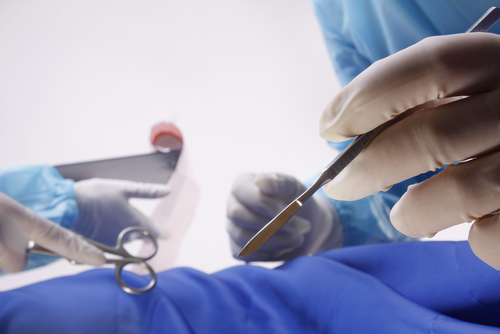 There is a wide variety of situations that can lead to a medical malpractice. There are cases when the doctor forgets an object (sponge or towel) in the patient’s stomach or when doctors fail to inform a patient that a certain drug might cause heart failure. The statute of limitations for medical malpractice in Annapolis says that your claim must be filed within 5 years from the time you suffered the injury or within 3 years from when the injury was discovered. If your malpractice attorney from Annapolis does not file your claim within this specific period, the court will dismiss your case. Expert testimony may be required. Your malpractice attorney from Annapolis can provide you an expert witness that can provide expert medical testimony. There are just a few situations when the expert testimony is not required, such as when objects are left inside a patient during a surgery. But for medical malpractice medication errors in Annapolis, you will need a testimony from an expert witness. For more information about medical malpractice, contact the best malpractice injury lawyer from Annapolis at (443) 569-3950 or send an email at [email protected].